It's only a little over a week to go until Prose in the Park, the Ottawa Literary Festival (June 6th). 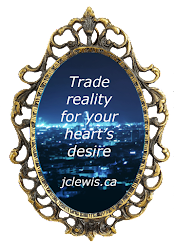 I'm going to be with the Ottawa Romance Writers at their table, selling copies of Revelations and giving away my recently acquired swag. Things get started at 11 am for the public and go until 6 pm. We're at the Parkdale Park which is near the corner of Parkdale and Wellington. This is going to be my first big promotional event and I'm quite excited about it. After careful consideration, I've decided to price the paperback of Revelations at $ 15 each, which is cheaper than the $ 16 on Amazon and people won't have to pay shipping. I'll also be giving away little buttons with quotes from the book. I've ordered 20 copies of the book which are now sitting in my closet. My only regret is that because I'll be at the table all day, I won't get a chance to actually go and listen to the speakers and panels. John Farrow is doing a book launch at 2, there's a sci-fi panel at 12 and a panel on First Nations literature at 3 followed by a graphic novel panel at 4. Maybe I can convince one of my fellow ORWAns to watch my stuff while I take a look. If you're in the Ottawa area, I hope you'll take the time to check it out. I'm working on one of the big climatic events for Metamorphosis and it's been very exciting. This is a scene I've had in my head since the very beginning of writing the book. It's good to finally get it out on paper. I ordered my buttons from Six Cent Press and I got notice today that they've been shipped. I can't wait to see them. And I survived camping with my son over the weekend. I love him and he had a wonderful time but I am desperately glad to be back in the land of indoor plumbing. Things are definitely moving forward at a satisfying pace. I probably won't have the first draft of Metamorphosis ready by July first but I don't think I'll be too far behind. And I'm going to be having a brainstorming session with my friends and writing partners for a cool title for my ghost story, to be released in September. Next weekend is Prose in the Park and after that is ORWA's 30th anniversary lunch. Lots to look forward to! It's busy, busy. But good. I've actually been thinking about this topic for a few weeks now. I didn't want to open a can of worms but I think both sides of the issue have a valid point. I'll avoid naming names as a sacrifice to the gods of Dontsueme. This all began because of a comment I noticed where a reader was complaining that a particular author was too slow because she was only putting out one book every two months. This reader said they would no longer be buying any of the books this author produced. As an author with a one book a year plan, it made me a little nervous. I have heard complaints from the writer side as well. Writing a book is not easy and writing a quality book takes even more time. As much as we would love to have polished prose flowing directly from our brains to the keyboard, it rarely works that way. So I've heard writers who are both discouraged and upset by readers who get impatient with waiting for the next installment. On the other hand, I've been a reader waiting for that next installment and if the writer has done his or her job, I'm dying to know what happens next. And I've had to wait. And wait. Sometimes the author loses interest in the story and doesn't complete the series. Sometimes the author dies and there's no one to continue the work. And sometimes they just take a really, really long time (10 years to pick a particular example) to write the next book. Now, I believe harassment is wrong (and counterproductive!) no matter how much I want to know how the story ends. If editors are having to use a Ouija board to contact the author, I may just have to accept not knowing. And if the author is losing interest or is just a slow writer, then no number of emails, letters, calls or in-person visits will cause a jump start. The plot of Stephen King's Misery is not really a viable real-world outline on how to get your favourite author to produce. Maybe I'll feel differently in a few years, but for now, I take it as a compliment when readers say they can't wait for my next book. I get excited when a reader takes the time to contact me to ask when the next book will be out. It means that I've done what I wanted in creating an interesting world and characters that people want to know more about. But I am not going to rush my work to try and get the book out sooner. I know it's frustrating to wait but I also believe that most people would rather wait a little longer for a quality story rather than one I rushed through. And with that in mind, it's back to the keyboard. I had a very slow week until Saturday when I managed to pull off 3000 words in two hours. Part of it was catching up with life, but part of it was also trying to work through a difficult transition before the start of a key plot point. I wasn't happy with how the two scenes I needed were progressing. I tried a couple of different techniques to deal with it: I switched point of view characters, I tried telling the necessary information as a flashback and I worked on the next scene, leaving the transition scene as a blank. Eventually I found my rhythm again, which was nice. I had some promotional work to do as well. I ordered copies of Revelations to sell at Prose in the Park and ORWA's 30th Anniversary Event. I also ordered some promotional buttons to give away. Learning to use the button design template was a definite challenge but after a couple of days, I made it work. The highlight of my week was the review of Revelations by Ella at Writer in Progress. The interview she provided was thoughtful and well put together. 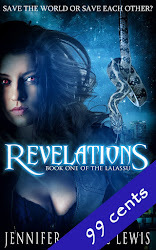 I was chagrined to realize I'd miscalculated the end of my Amazon card giveaway, so I offered one of her readers a free e-copy of Revelations. I didn't like the idea of people missing out on the giveaways. I sent a notice to the winner of the Amazon gift card and I arranged for the two copies from the Goodreads Giveaways to be mailed out. It was a pretty busy week but a good one in the end. In Stephen King's book, On Writing, he talks about how he used to dream of a quiet office to do his daily writing. In the chaos of trying to manage a day job, family needs and daily life, he dreamed of carving out a space for himself and his craft. But then he got his quiet office and discovered that the daily chaos had become an integral part of his creativity. He needed it in order to write. Western society tends to be suspicious of chaos. It's messy, inconvenient and unpredictable. We tend to view creation as the skill of ripping order from the chaos, but people rarely stop to wonder if that order would be possible without the chaos. Chaos is a state of pure potential. It can become anything. It is the wick awaiting the spark of inspiration. But it can also blow out the flame before you get a chance to make your wish. There needs to be a balance between chaos and order. Personally, I find without at least a little chaos, my creativity slumps to the ground and refuses to play. Too much, and it's like trying to manage a toddler on a sugar-high. You'll both just end up exhausted and irritable. Life is full of chaos. Your boss calls you in to work extra hours on a project. Kids need help with homework or the school needs a volunteer on a field trip. The kitchen sink springs a leak and someone has to manage the repair themselves or calling the plumber. These are the sort of regular challenges which burn up the writing time of aspiring authors. My own life has tended more toward the chaotic. I've been juggling extra hours at work, end of school year trips and projects, running promotions and events and the regular challenges of life. I've found myself dreaming of a quiet office with a large wrap around desk, a wall-sized whiteboard for plotting, three monitors (one for writing, one for plot notes and one for research) and most importantly, a door with a lock on it. But this is life and I've learned over the years that I have to adapt myself and my writing to the demands of life instead of waiting for life to deliver the perfect opportunity. I need to tap into the chaos and use it as fuel instead of a barrier. And maybe once I get the manuscript for Metamorphosis done and in the hands of the editors, I can take the time to check out Daredevil. Not my best week but hopefully I can do better next week. This weekend was one of the highlights of my year: Ottawa's annual ComicCon. According to the news, over 40 000 people were in attendance. I got to see Malcolm McDowell, who was very funny and crusty. He's been in an amazing number of films and TV shows, as well as lending his voice to various video games and other animations. He said his major regret was a musical project developed by the songwriter for AC/DC in which he would have gotten to play Zeus. It never ended up getting off the ground. He also talked about Clockwork Orange and how he had a lot of fun working with Stanley Kubrick. Wil Wheaton was hilarious but also touching. He talked frankly about the difficulties on his days on Star Trek: The Next Generation, when he would go to cons and be attacked by "adults who should have known better." He said he believes he hasn't had the trouble of most childhood stars because he avoided the parties and instead stayed home with his non-entertainment friends, playing board games. As always, there were many wonderful costumes to see and enjoy. Maybe it is the writer in me but the idea of slipping into someone else's skin and personality for a little while holds a lot of appeal. Maybe I just never entirely grew up from playing make-believe. These fine gentlemen were raising money for breast cancer by taking pictures with the fans. And as a die-hard Wolverine girl, this was definitely one of my highlights for the weekend. I came home on Sunday, exhausted and foot-sore, but exhilarated and creatively-recharged. All weekend, I had particularly vivid and memorable dreams, which is usually a good sign that my imagination has hit overdrive. I'm looking forward to funnelling that into Metamorphosis this week. As a writer, I strive to have a unique and entertaining voice. As part of my promotion strategy, I need to find opportunities to get my voice out there into places where people will have a chance to listen to it. But is there a downside to being heard? That appears to depend greatly on what a person has to say. This month's Romance Writers' Report had an article about why writers shouldn't silence themselves out of a fear of offending readers and publishers. The gist of it was making "avoid giving offence" the most important criteria ended up destroying the unique voice of the writer. It had several inspiring examples of people who are speaking out in an attempt to build tolerance and broaden diversity in the genre. Last weekend's ORWA workshop on marketing touched on the same issue. Several of the authors mentioned how even a positive review or statement can end up backfiring and costing readers. If they disagree, then your opinion value goes down and it can end up causing them to decide not to look at your work. It's made me do some thinking and now I'm going to use my voice to share my thoughts. First of all, the obvious low-hanging fruit: don't engage in flame wars or angry dialogue with anyone online. If someone doesn't like your book, it hurts but going on the attack only makes things worse. It's immature and impossible to win. To quote WarGames: "The only winning move is not to play." If someone disagrees with a position that you feel passionately about, then it's a difficult choice. You may choose to engage with respect and caution but often, you're only ending up shouting at the wind. If you can't keep hurt or angry feelings out of your words, then walk away. There are real effects to sharing personal opinions, especially about politically sensitive subjects. We've all seen actors lose screen-appeal after a publicly witnessed tirade (Michael Richards' rant against his hecklers or Mel Gibson's drunken commentary to the cops). This happens with writers, too. Anne Rice lost a number of fans when she went from Goth-fave to born-again. And yet there is an effect from being silent as well. The RWR article made an excellent point: no one ever said they followed a particular author because he or she avoided giving offense at all times. It's hard to be both interesting and bland at the same time. In a media-saturated world, new authors have to maintain a consistent presence online. Obviously there's a middle road to walk and each author must figure it out for themselves. Personally, I think it's important to weigh my motivations and qualifications before speaking on a particular issue. Do I feel I know enough about the situation to have an educated opinion? Is this something I care passionately about? Jumping on a popular trend bandwagon can be disastrous when the wagon falls apart and they almost inevitably do fall apart as more information comes in. I still plan to post reviews and case studies of things I find admirable and enjoyable. If someone disagrees with my opinion, I'm okay with that. If they disagree so strongly that they would refuse to have anything further to do with me, then I guess I'll have to deal with that as it happens. But I'm aware of the potential pitfall and I think that will help. In the end, I don't want to silence myself but I don't want to squawk simply to hear the sound of my own voice either. I can't be anything less or different than who I am and if I was inclined to sit quietly by the sidelines, I don't think I'd have the drive I do to tell stories. ORWA also had its' monthly meeting on Sunday with a panel on marketing and promotion. Lots of good ideas but I think I'm making the right decision to back off for now and concentrate on getting Metamorphosis out. That said, I have decided to order some swag to give away at Prose in the Park and ORWA's 30th anniversary. I'll be getting my First Book Award at the ORWA celebration, which is pretty cool. Right now I'm looking into getting buttons made up with quotes from Revelations. Now I just have to keep up the good work of daily writing and hopefully I can still make my first draft goal of July 1st.